Platinum cut edge wedding band. Unique design wedding band with a ridged center and cut edge border both sides. 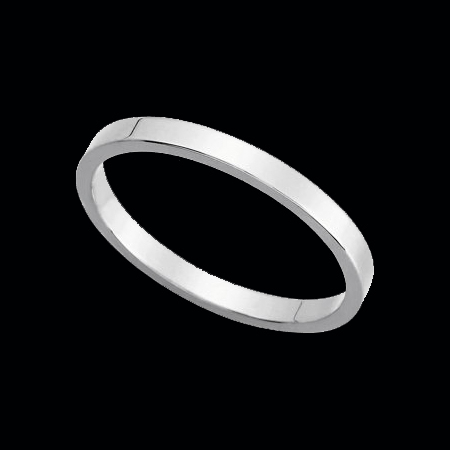 This unique wedding band measures 7mm in width with a brushed top edge and polished finish. Wedding band is an easy to wear comfort fit design. This band is available in your choice 14k White or Yellow gold, or 18K gold. Great wedding band for a lady or gent. Custom made to order. Price shown is for the ladies size 5. Luxurious Platinum wedding band. This hand made Platinum woven band measures 6mm in width. True woven Platinum is a timeless style. This luxurious platinum wedding band will be a delight to wear everyday, a wonderful symbol of your enduring love. Very limited sizes. Price shown is for the size 6. Platinum Comfort fit wedding band. This wedding band features milgrain edging and is available in a variety of widths including 4mm, 5mm, and 6mm. A Great classic design comfort fit Platinum wedding band you'll love for years to come. Platinum Flat design wedding band. This lovely polished band is available in widths from 2mm to a large 12mm. Flat wedding band design measures 1.23mm thick. Platinum Comfort fit wedding band. 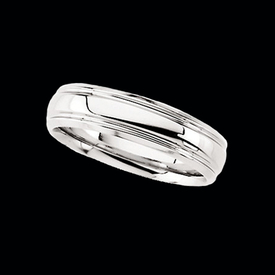 This platinum wedding band measures 6mm wide and is available in a variety of whole sizes. Example gram weight; size 7 12.89grams. Simple quality platinum band will look as good at your 50th anniversary as it does today. Price shown is for the size 5. Gorgeous Platinum concave design wedding band. 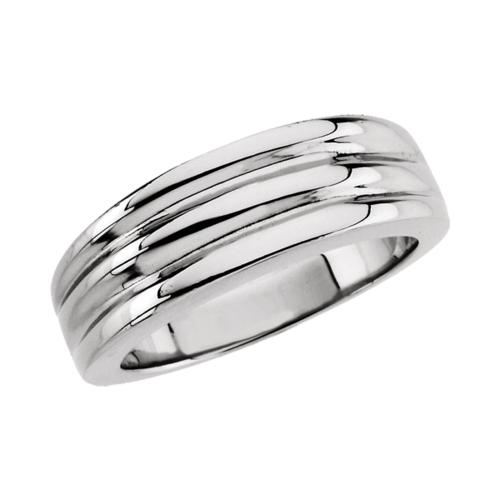 This comfort fit wedding band measures 6mm wide and is available in whole sizes 5-12. Elegant design is stunning. This platinum wedding band will be as beautiful on your 50th wedding anniversary as it is today. Beautiful Platinum comfort fit wedding band. This band measures 6mm wide and is available is whole sizes from 5-12. Double indent border design is a favorite. Platinum wedding band. Sophisticated design measures 6mm wide and features a flat milgrained border accent. This ring is made to order and price may vary depending on your size. Lovely Platinum beveled design wedding band. Band measures 6mm wide and is custom made to order. Fancy Platinum wedding band. Attractive wedding band measures 6.5mm wide and weighs 11.28grams for the ladies selection, 14.70 grams for the gent's. This elegant ring is as smooth as it looks. This platinum wedding band is going to last a lifetime. What better way to symbolize your love then with a ring that will look as good at your 50th anniversary as the day you first put it on. Lovely Platinum and 18k yellow two tone wedding band. 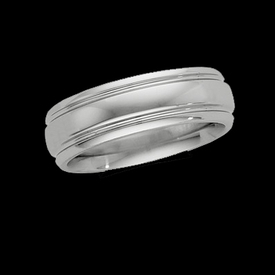 This two band is a comfort fit 6mm wide wedding band. Platinum small claddagh ring. Claddagh measures 12mm x 14mm. 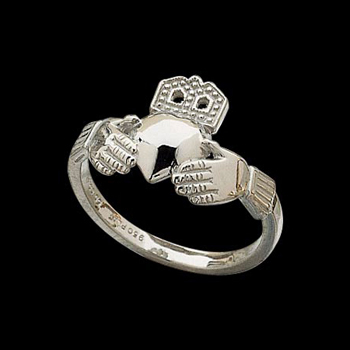 The Claddagh ring is a traditional Irish wedding or friendship ring. Two hands clasping a heart symbolize love, friendship, and loyalty. Price shown is for a size 6. Beautiful Platinum Designer Band. This band is a 7mm Wide Comfort Band. Available in a large variety of sizes. 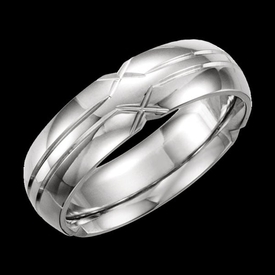 Beautiful Platinum grooved design wedding band. This wedding band design measures 8mm wide. Price shown is for the ladies stock size 6. Design also available in 14k, or 18k metals, email for pricing. Platinum Comfort Fit Design Band is 6mm Wide. Elegant design this wedding band is a great choice. 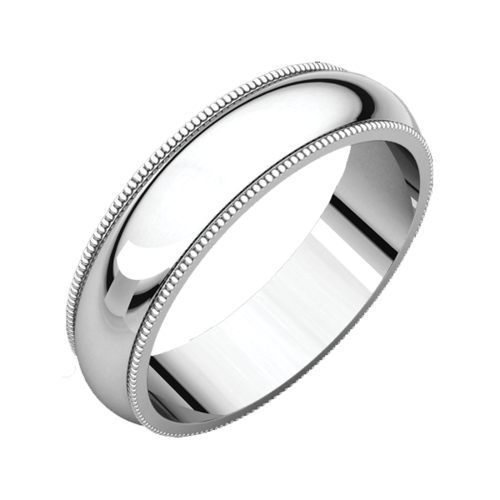 This wedding band is made from the finest .950 Platinum and features a polished finish. Available in whole sizes 5-12. Platinum and 18K Gold Wedding Band. This Beautiful ring has a milgrain border along the Platinum center band. Wedding Band measures 6mm wide and is available in whole and half sizes. 18K Gold and Platinum two tone Comfort fit wedding band. You will love this beautiful wedding band. Band measures 7.5mm wide and is available in a variety of sizes. Also available in the reverse look, Platinum as the raised center band, 18K gold border. Example weights; 12.41grams for the size 7; size 10 14.56grams. Price shown is for the ladies size 5 platinum wedding band. Weddings are meant to be beautiful. Let Gracious Rose add a beautiful touch to your special day to make it even more memorable. We’ve been producing and selling the finest classical jewelry for over 10 years and our collection has always appealed to discriminating buyers! For years, platinum has been sought because of its durability, naturally white sheen, and uniqueness. Gracious Rose has taken advantage of these qualities by designing a wide selection of platinum wedding band sets—the perfect representation of bond and love between a couple. We’ve crafted each pair with care to make sure that it suits the taste of both the husband and the wife. Our wedding band collection offers simple to elaborate designs. Each piece is carefully crafted and made with the finest platinum available in the market. We have structured, plain and embellished pieces that suit every couple’s personality and preference. 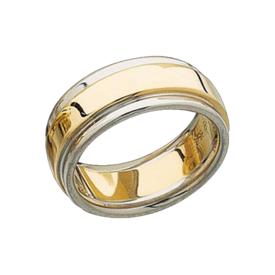 Brides and grooms can also select the thickness of the band - we have court, d-shape flat court, double comfort, flat-sided court, halo, flat and concave wedding bands. 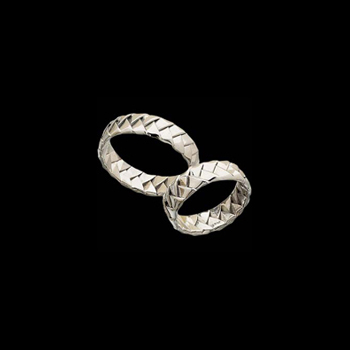 For the less traditional, we have rings that are grooved, woven, two toned or engraved. There is a pair for any couple who would like to go beyond the traditional and exchange fine platinum wedding bands. Gracious Rose offers simple platinum bands that vary in thickness - we have wedding bands between 2-12 mm and if you have a specific thickness in mind, let one of our jewelry specialists know and we will gladly customize the rings for you. Basic platinum bands are the perfect choice for couples who are looking to wear no-fuss, low maintenance and very subtle rings. If you need help with the sizing, you can rely on our Jewelry Consultants who can provide you with expert advice. Browse our wedding band collection and see the classy, simplicity that our platinum band collection offers. And to make your representation of bond and love even more special, we suggest that you have your wedding bands engraved. Get more information by calling Gracious Rose today!